The Syrian Democratic Forces will continue attacks against the Daesh's positions in northern Syria despite threats from Turkey, the spokesman for the organization said Wednesday. CAIRO (Sputnik) — The Syrian Democratic Forces is an alliance of Kurdish, Arab, Assyrian, Armenian, and Turkmen militias. "They [Turkey] said that they would not allow us to move further to the West, but we have advanced. We will continue further offensives against Daesh positions. This is our land and we will liberate it," Talal Salu told RIA Novosti. According to Salu, the alliance will not respond to the recent Turkish shelling of its positions. "We are exerting restraint. The entire international community has now condemned Turkey's shelling of our positions and has demanded that Turkey should stop the strikes. We will not give in to provocations, our aim is to defeat Daesh," Salu added. According to the spokesman, the Turkish strikes left nine people dead. In recent days, Turkey has intensified its artillery shelling of Kurdish-held areas in northern Syria, which has been in a state of civil war since 2011. Ankara claims that Syrian Kurds have links to the Kurdistan Workers’ Party (PKK), which fights for Kurdish independence from Turkey. 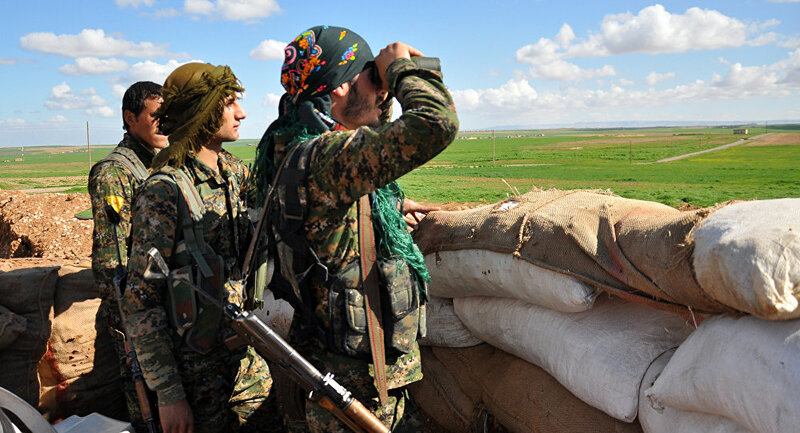 Syrian Kurds have been fighting against Daesh, which is outlawed in many countries including Russia, for years and have already liberated vast Syrian territories from under its control.